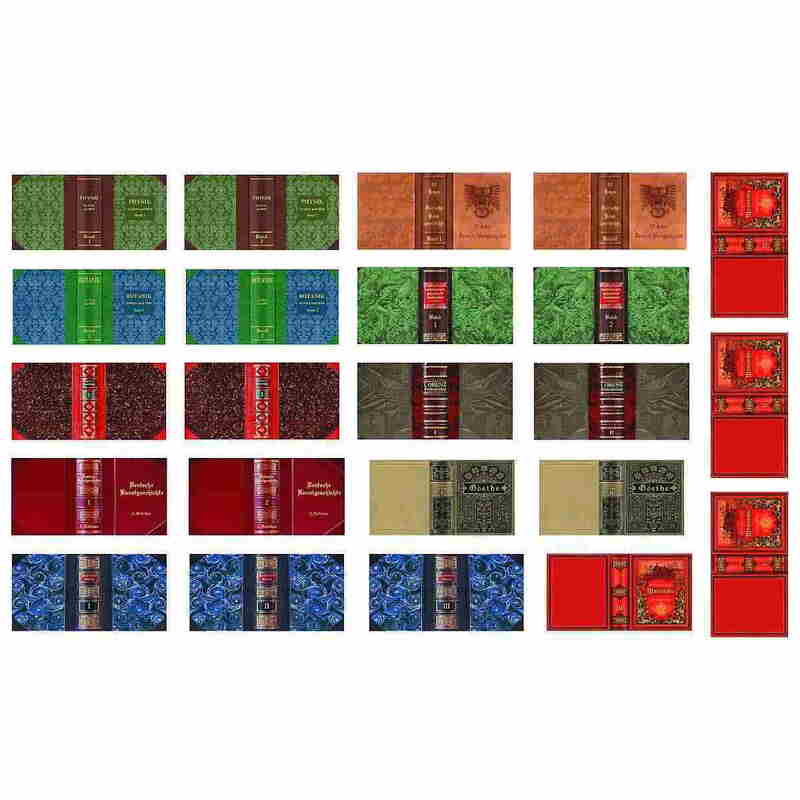 like #19370, but this set includes 2 little cut-out sheets for a total of 45 book covers in various sizes. 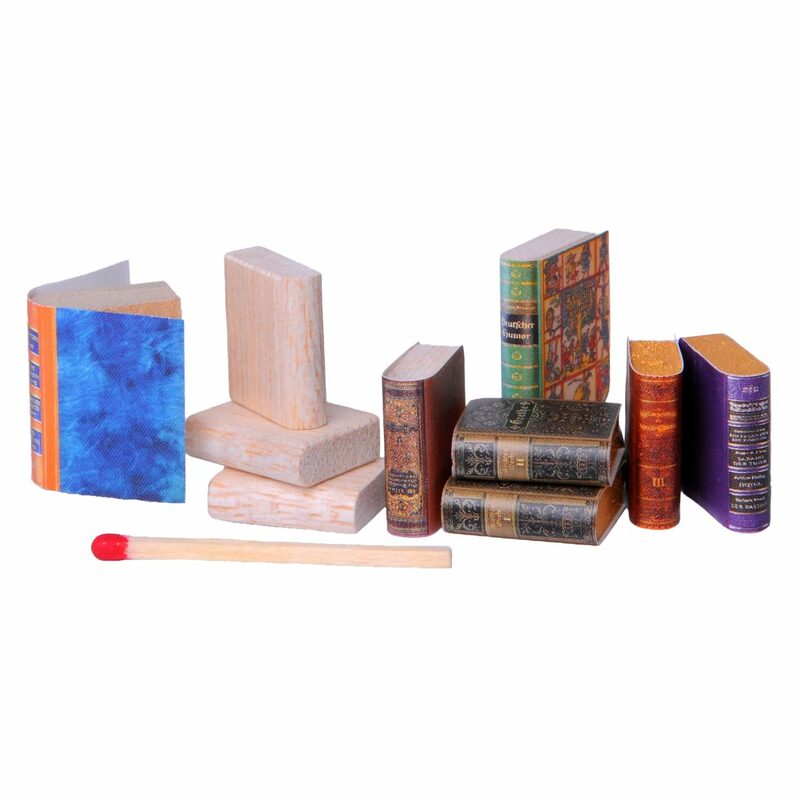 A Pritt glue stick and 6 balsa wood profile strips for 4 mm and 6 mm wide spines with book heights of 19 and 24 mm at a depth of 16 mm are included as working materials. 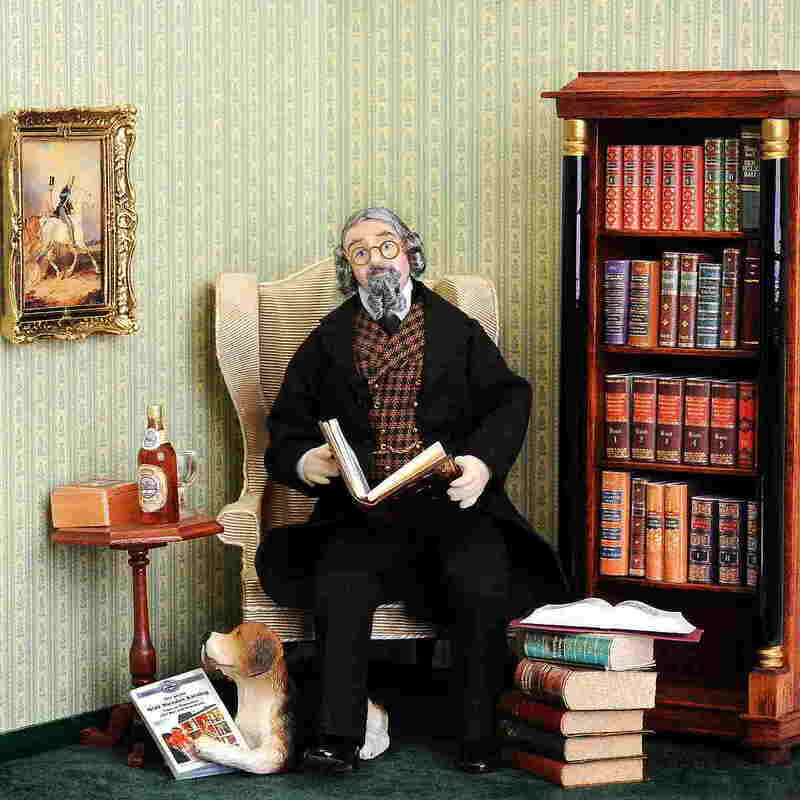 like #19370, but this set includes 2 small cut-out sheets for a total of 45 antiquarian book covers in various sizes. 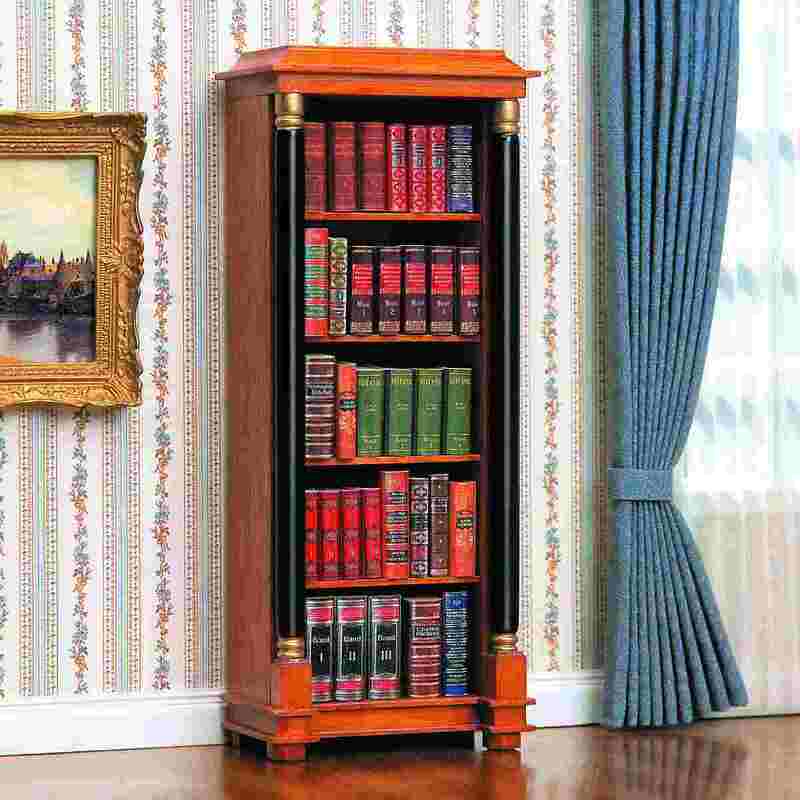 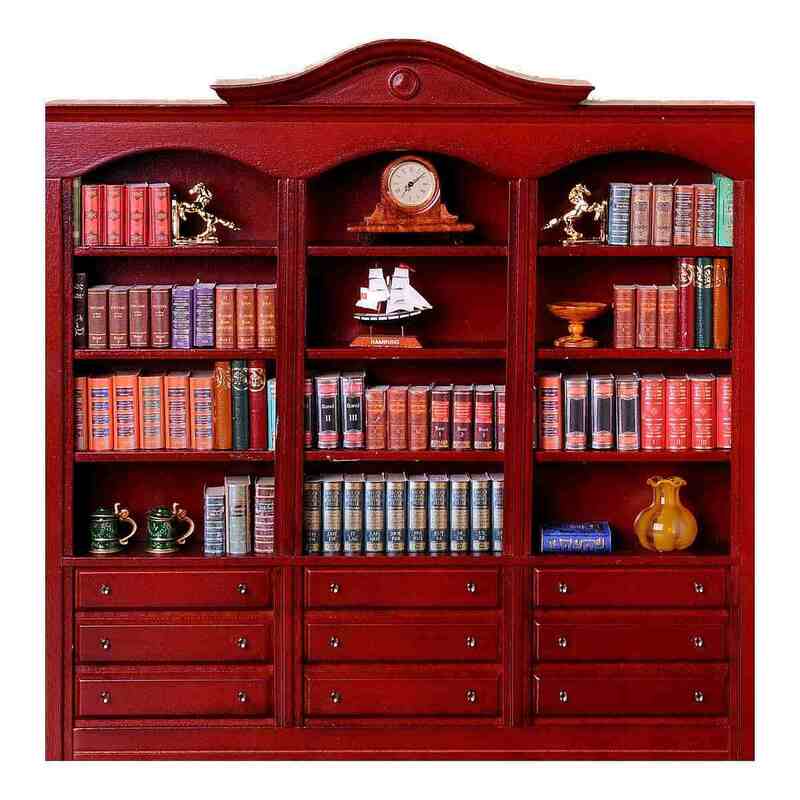 The antiquarian books are, among other things, ideally suited for the Biedermeier bookshelf (40103) and the bookcase (40090).